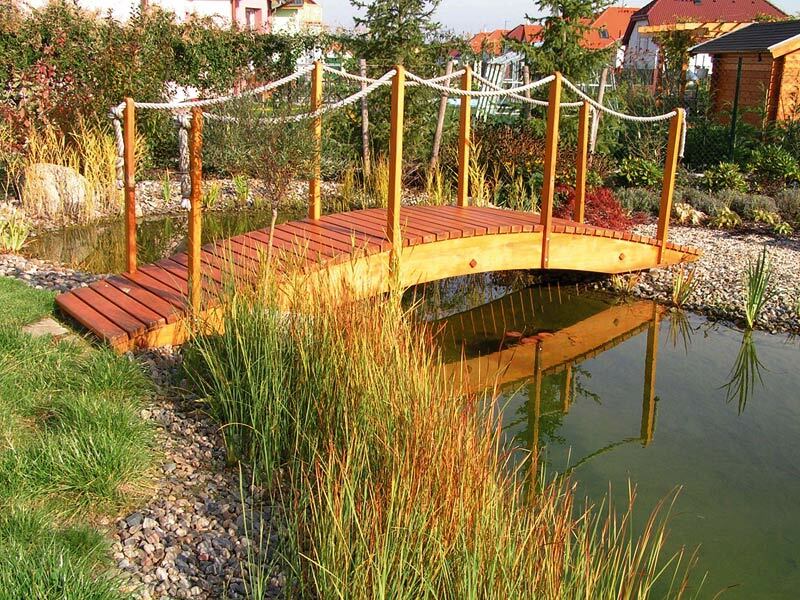 Water is becoming an inherent part of today's gardens, whether formal or natural ones. However, it hasn't always been that way. Formerly, you could hear judgements that water in the garden is only a burden as the ponds and pools require constant care and cleaning. The cleaning systems, without the aid of which the pools soon became a nest of mosquito larvae and other nauseating impurities, used to be quite expensive too. You see, the negative attitudes towards water in the garden were often legitimate. But the situation today is different. New technologies eliminate the annoying aspects and you can enjoy the water the way you like. Nevertheless, if you want to have a pool or other water element in the garden that functions properly, it is it is necessary to follow instructions of the experts when founding it. Sides and pockets of the pool are planted with water flora. Besides decorating, these soon fulfil the important cleaning function too - as the root water purifier. Making the water run won't do any harm either. 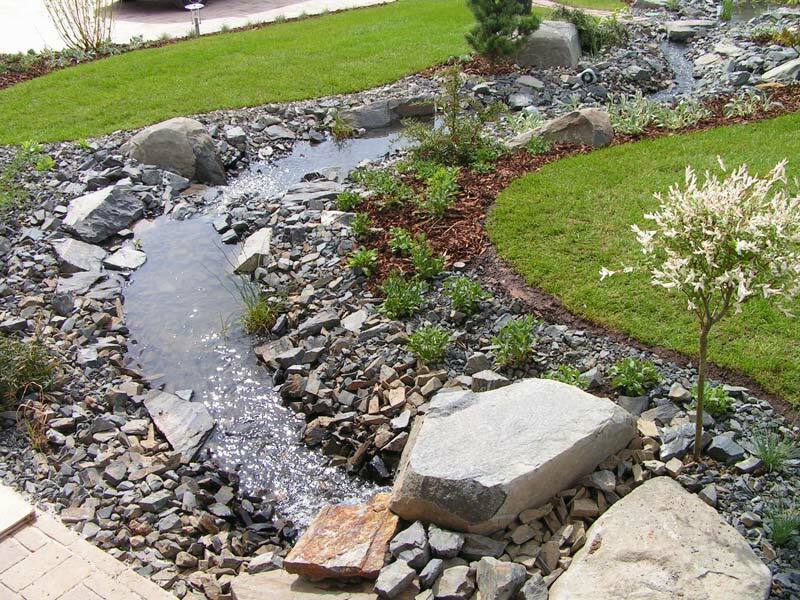 You can connect the pool to a natural water stream or make the water circulate with the aid of a pump. It is advisable that you choose the simplest way. Prefabricated plastic pools in various modifications are available in garden centres but these are likely to get inhabited by unwelcome vegetal and animal parasites during extremely hot summer days. This is due to the overheating of the water and the consequent dying of the purifying flora. The cheaper alternative may not be always the best. Opt for quality. Quality made in Marigreen.